← A Taste of Summer! 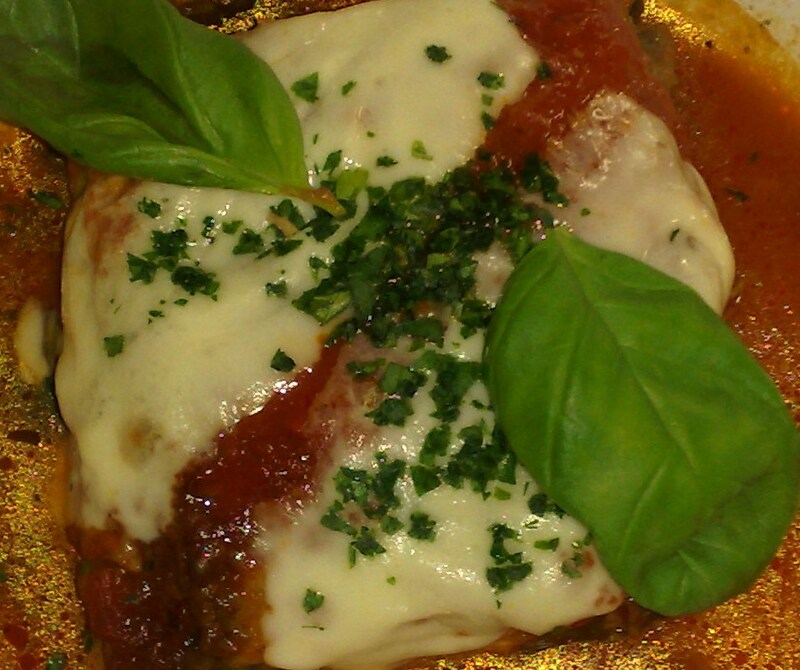 Parmigiana di Melanzane – One of our very special specials! Well, it’s the end of another busy week at The Caprese and thankfully the sun has decided to stay with us for us to enjoy our day off! It’s amazing what a bit of sunshine can do to cheer everyone up. Whilst we have all been enjoying the blue skies and warm sunshine, poor Costanzo has been slaving away in a hot kitchen preparing his fantastic Parmigiana di Melanzane. A lot of work goes into this dish and there is an art to making it just right. Slices of fresh aubergines are layered together with mozzarella, parmigiano, napoli sauce, fresh basil and then baked in the oven. It sounds simple, yes? Simple ingredients but it is a dish which takes time and effort but pays off when you smell the aroma coming from the kitchen and when you taste this delicious dish, you will be hooked! It is not a dish which we feature on our A La Carte Menu and instead is added every now and then to our Daily Specials. Costanzo knows what a favourite this dish is to many of our customers and if he knows they are coming in advance, he will prepare some especially for them. So, if you happen to be in one day and Parmigiana is on the menu, grab it while you can! It is never there for very long and you may miss out on a taste experience you will never forget!